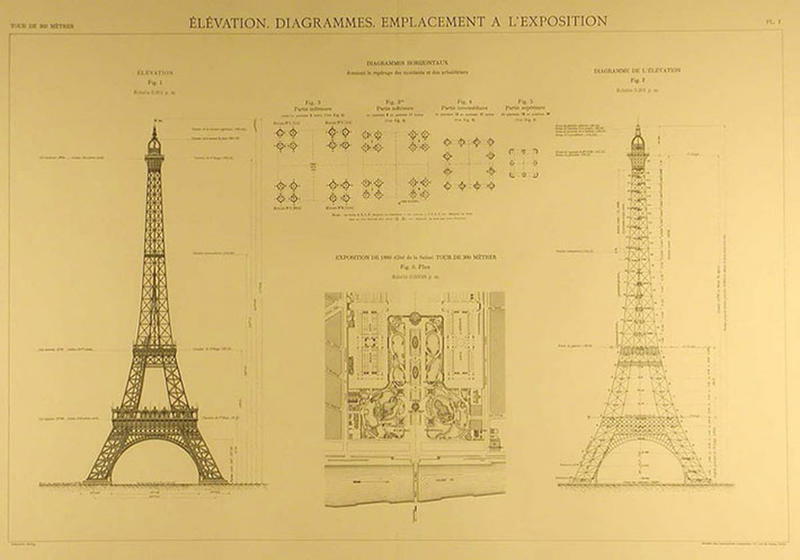 The construction of the Eiffel Tower started on January 28, 1887. 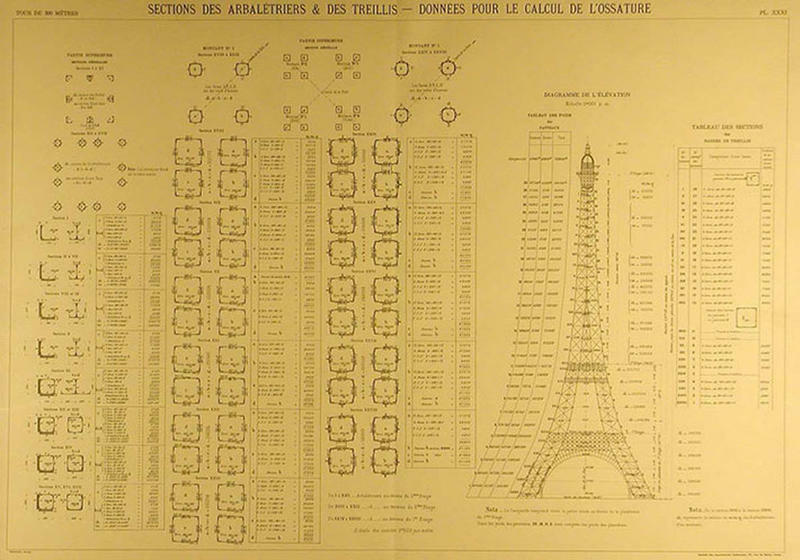 A little more than two years later, the iconic tower was finished in record time. 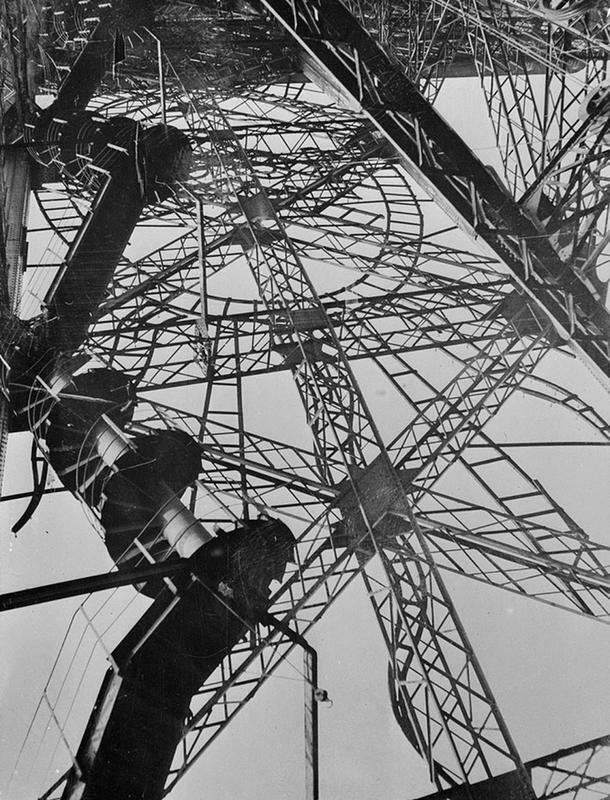 It was considered by many as a veritable technical feat. 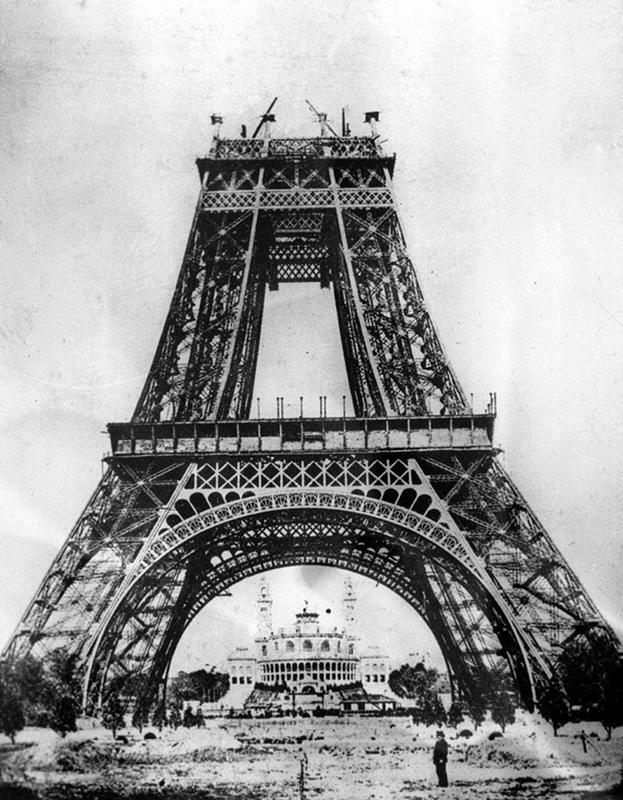 On March 31, 1889, the tower opened to the public. 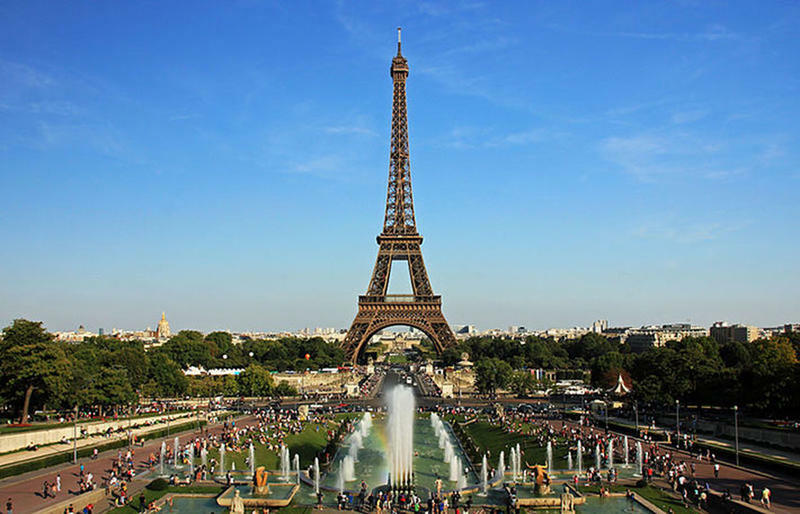 Today, the Eiffel Tower is one of the world’s most visited monuments, receiving about 7 million visitors a year. 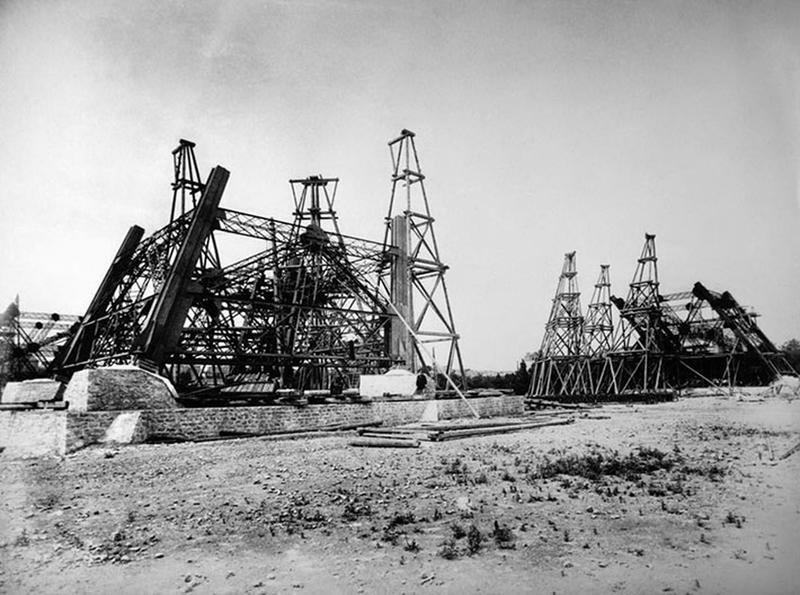 Below are some historical photos of the Eiffel Tower when it was still under construction. 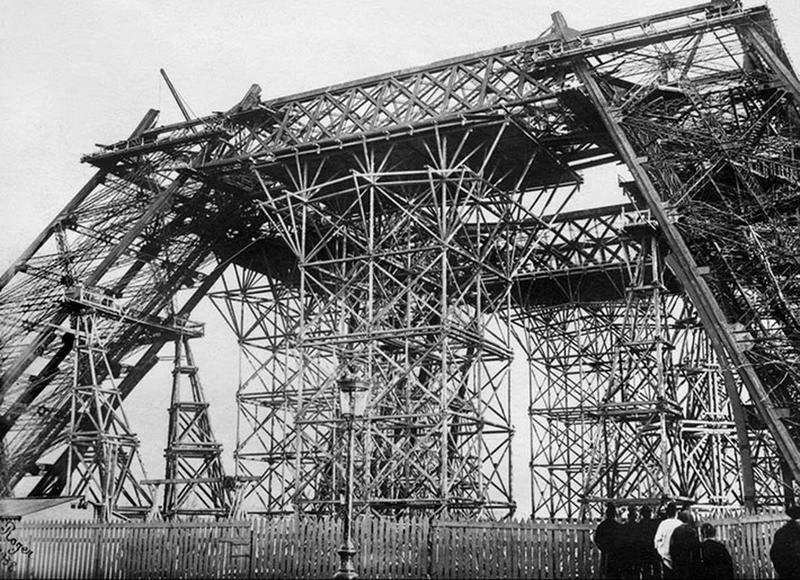 The Eiffel Tower under construction in 1887. 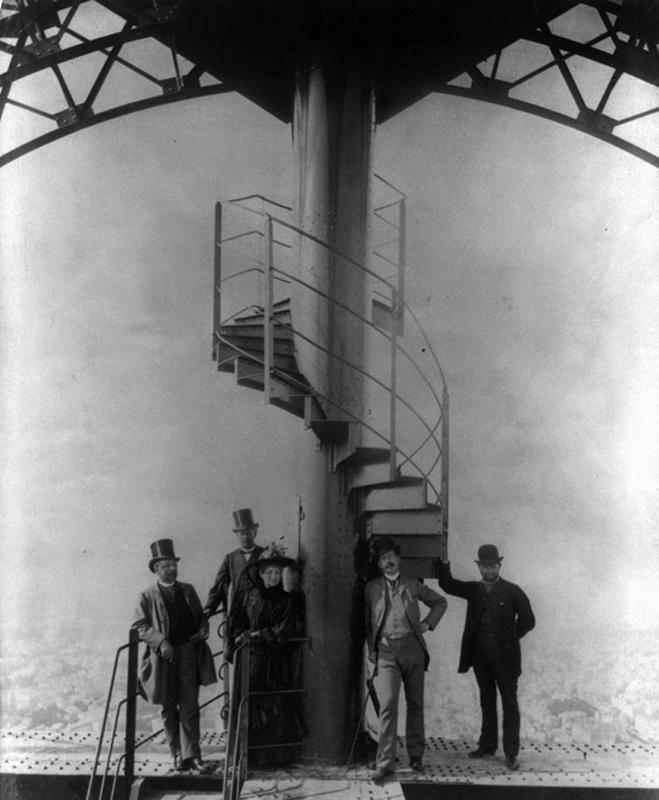 Alexandre Gustave Eiffel, the engineer whose company designed and built the tower, photographed with four other people at top of the Eiffel Tower during the Paris World Fair in 1889. 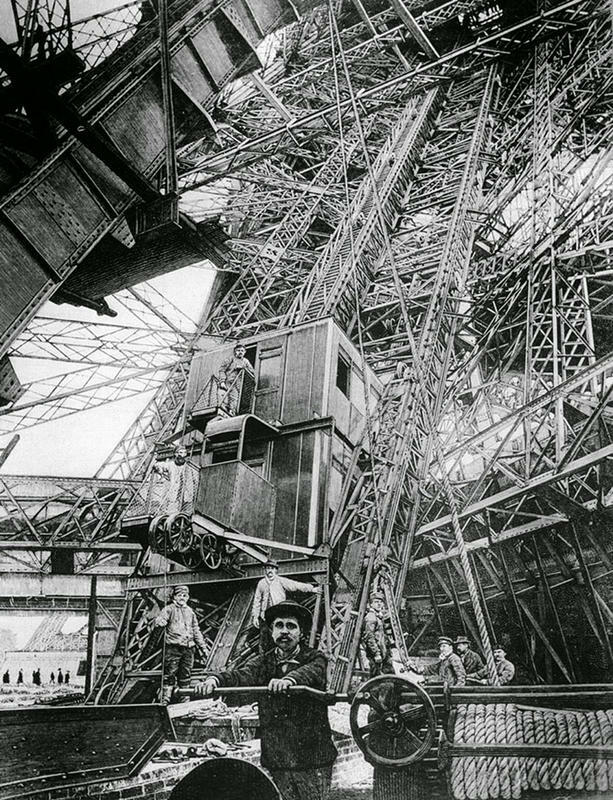 The elevator at the first level of the Eiffel Tower during its construction. 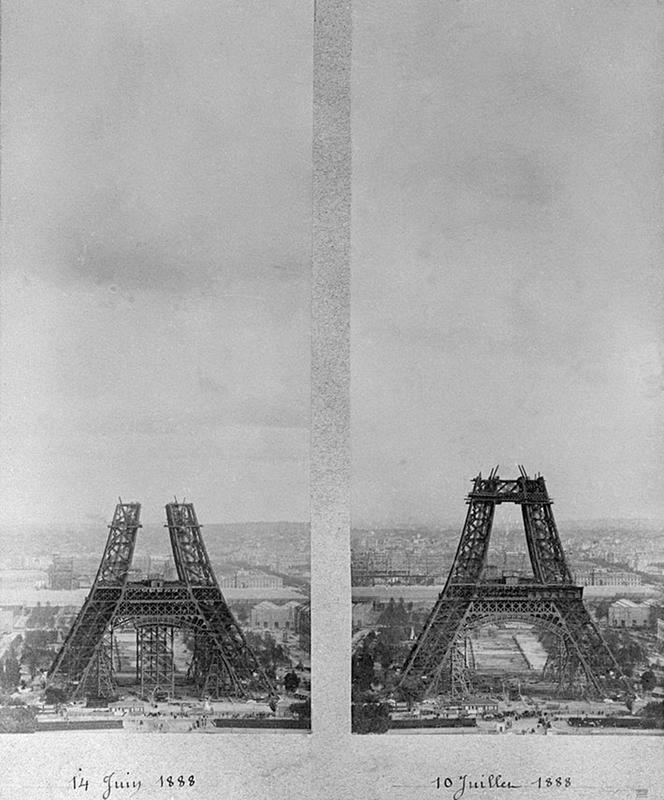 These two photos show the progress of the construction of the Eiffel Tower in Paris in June 1888 (L) and in July 1888 (R). 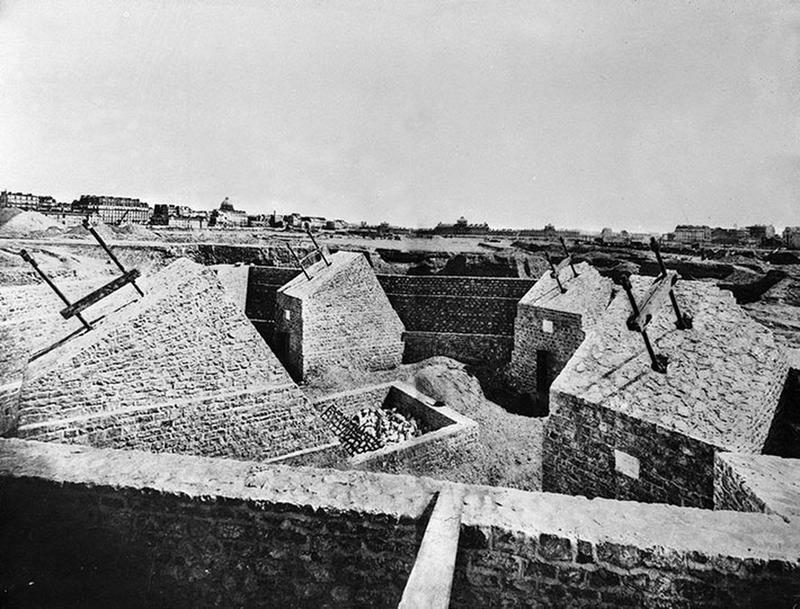 The base of the building being built in 1888. 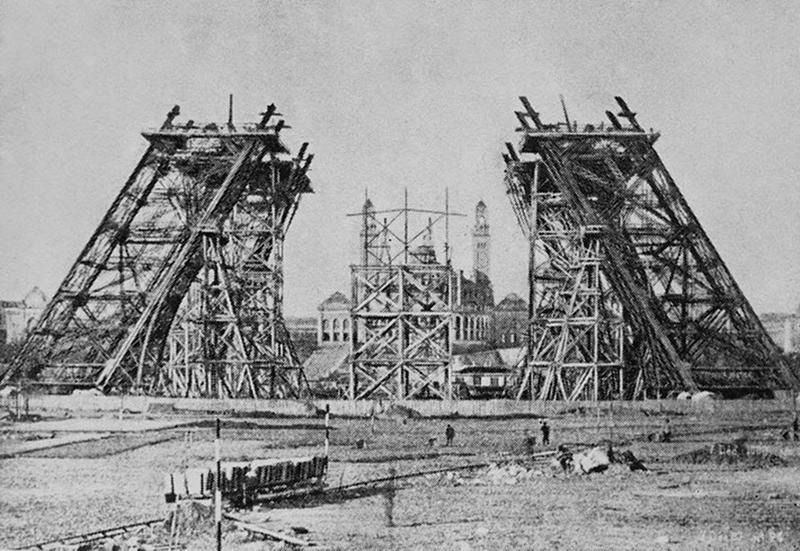 The beginning stages of construction of the Eiffel Tower, Sept. 1, 1887. 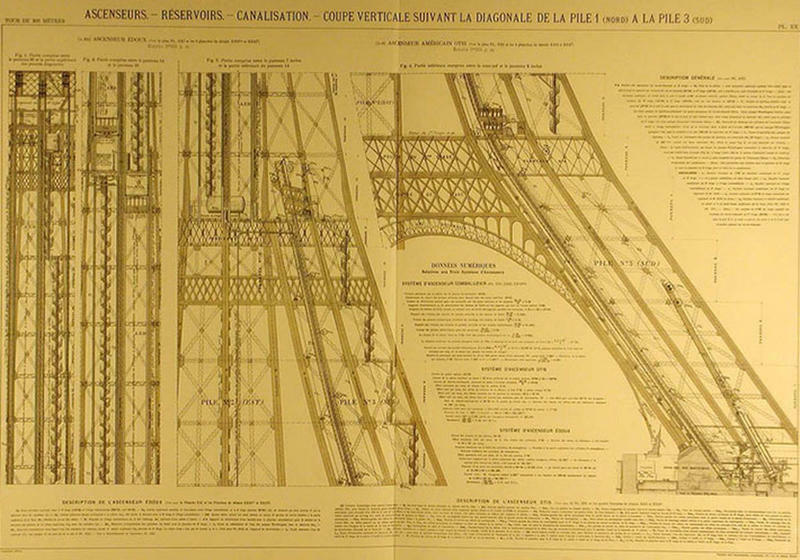 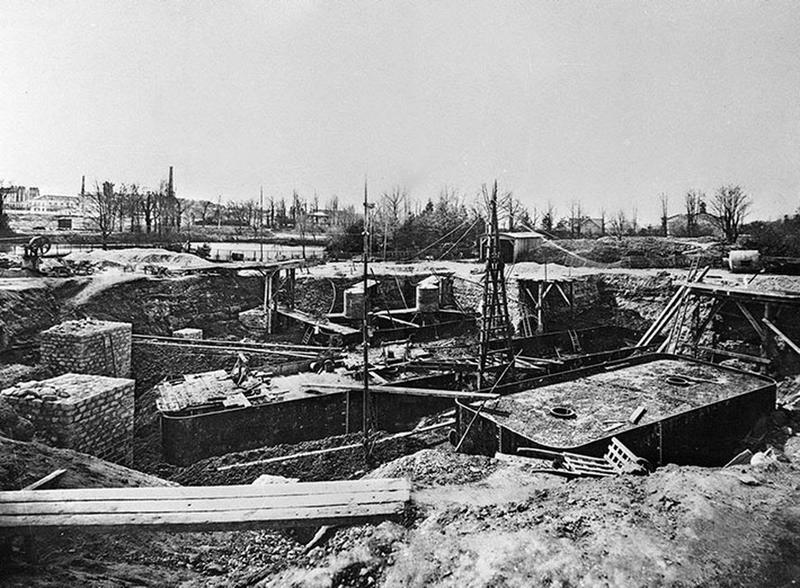 The foundation of what will be the Eiffel Tower as seen in 1887, before construction even began. 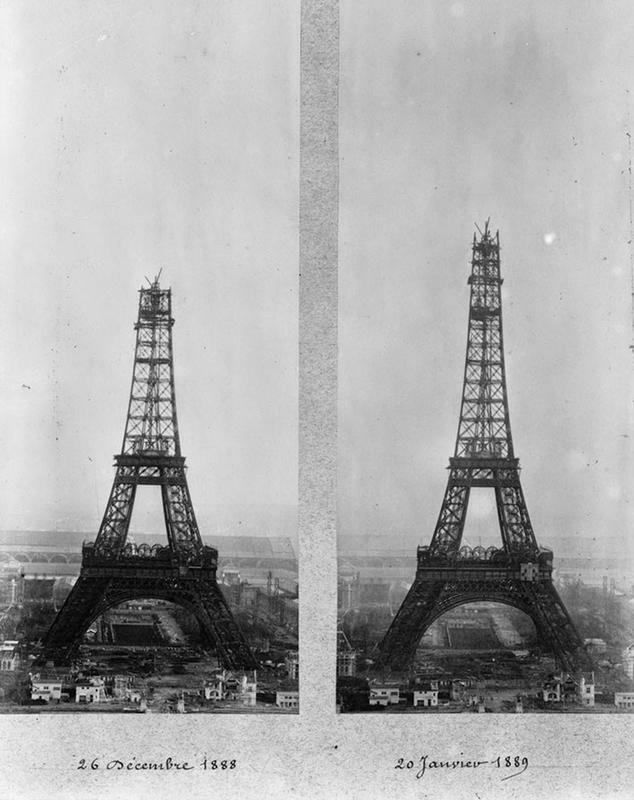 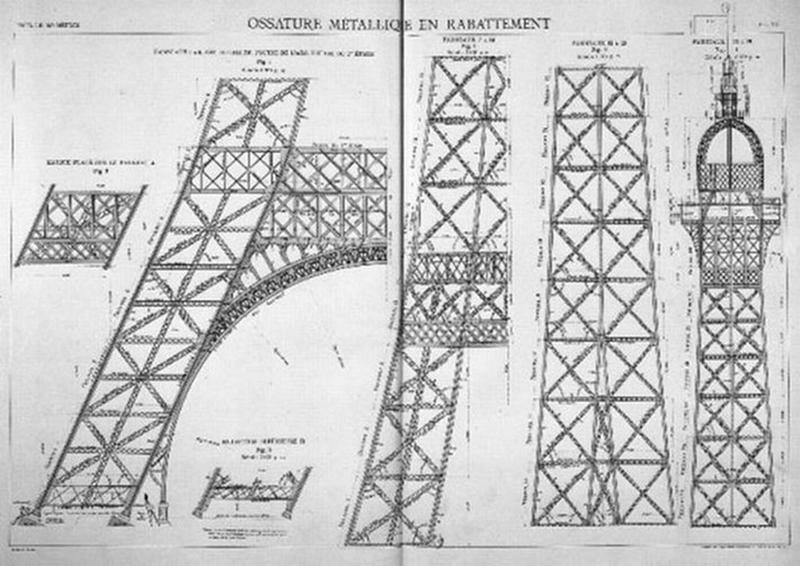 Split images show The Eiffel tower as it nears completion from Dec. 26, 1888 to Jan. 20, 1889. 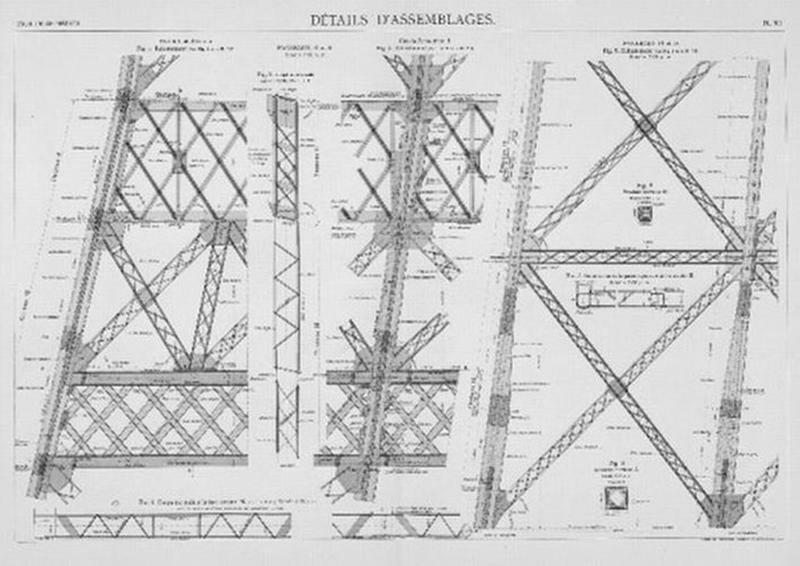 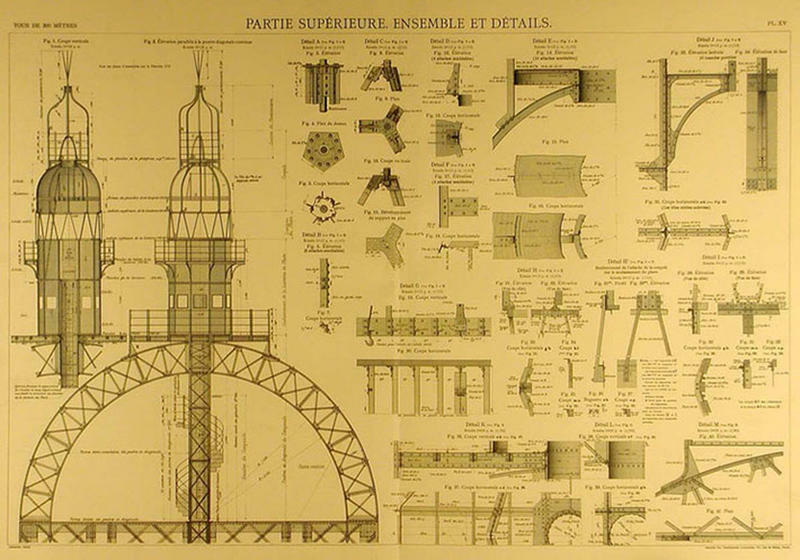 Construction of the staircase of the Eiffel Tower as seen in 1887. 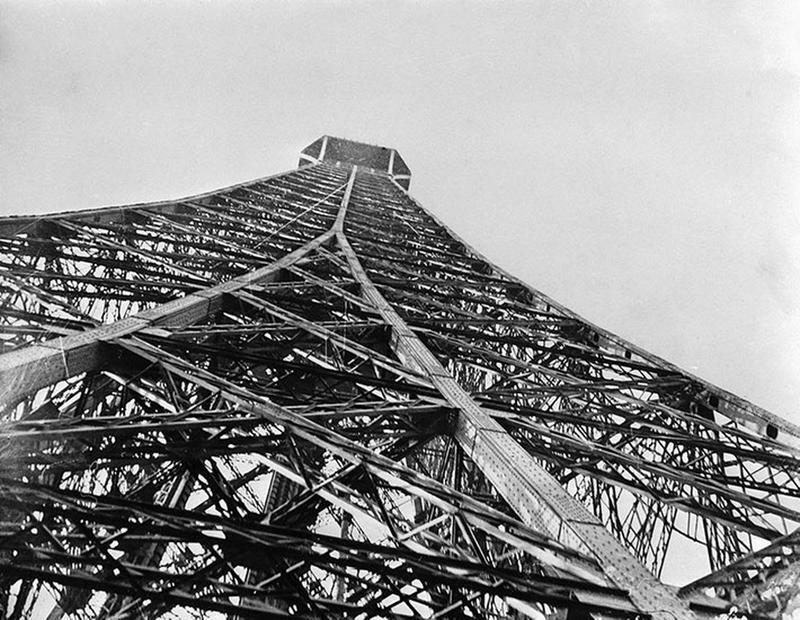 Most visitors will use the elevator to get from the first floor to the second floor observatory. 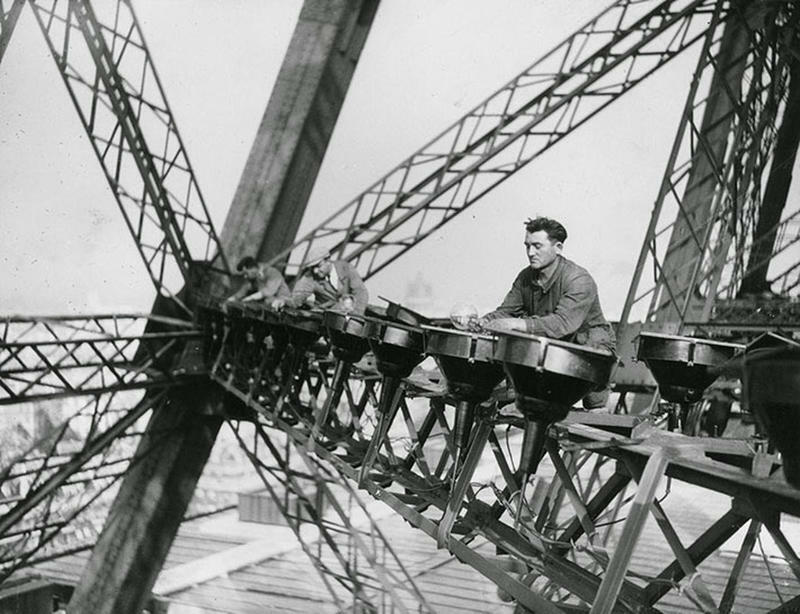 Electrical workers balance high up to change the lights that illuminate the Eiffel Tower at night on Oct. 29, 1937. 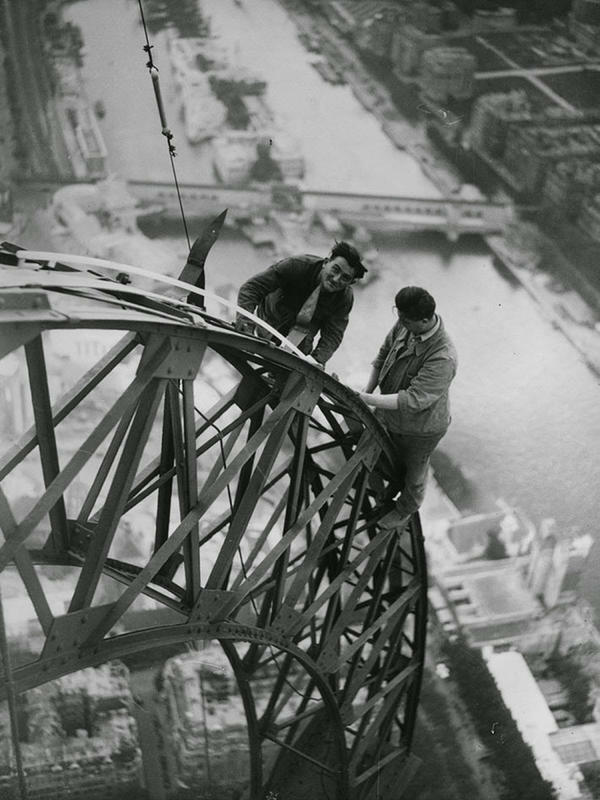 High above the River Seine two electricians work on the light fixtures of the Eiffel Tower which will illuminate the Paris Exhibition at night. 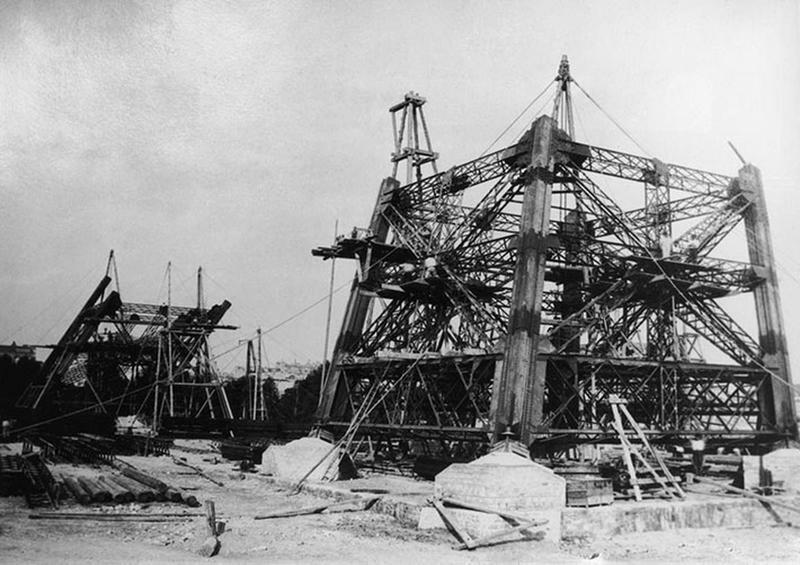 Eiffel Tower under construction in 1887, Paris, France.